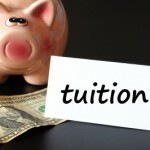 CT Aid for Public College Students is a need based financial aid offered to Connecticut students attending a CT two or four year public college or university. The amount of the financial aid is up to the unmet financial need. Students need to submit a FAFSA application online, and contact the college or university financial aid office. CT Independent College Student Grant Program is a need based financial aid offered to CT students attending an eligible CT independent college or university. The amount of the financial aid is up to $8,166 a year. Students need to submit a FAFSA application online, and contact the college or university financial aid office. CT Minority Teacher Incentive Grant/Weisman Teacher Scholarship is financial aid offered based on nomination by the college education dean. The scholarship is offered to minority junior or senior enrolled in a CT college or university teacher preparation program. The Weisman scholarship is offered to students enrolled in math or science middle or high school teacher preparation programs. Nominations are due October 15. Contact education deans at CT colleges listed on application, or contact the Education & Information Center at (800)842-0229 or edinfo@ctdhe.org. Most Connecticut sources of student financial aid are administered by the financial aid offices at Connecticut’s institutions of higher education. Connecticut residents who wish to apply for financial aid should contact college financial aid offices.